Original Top Clip Backpack - Nylon is rated 5.0 out of 5 by 2. 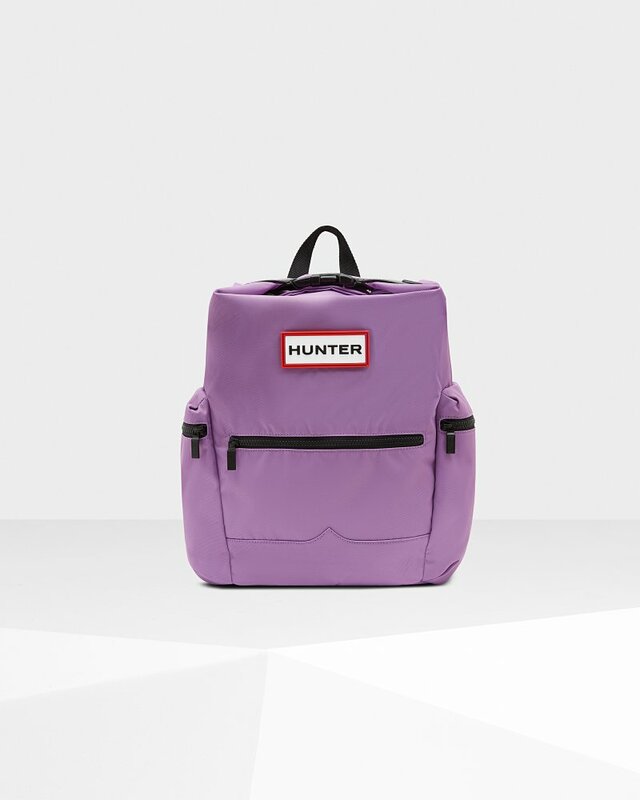 A practical, weatherproof backpack finished in lilac with a leather trim. Crafted from water-resistant nylon, the neat and compact body of the bag has a 16L capacity and features extra security with a parachute clip and zip at the top. The padded back pocket is ideal for carrying a 13.5" laptop while side pockets offer easy access to everyday necessities. Rated 5 out of 5 by Rachael from These are the best bags I have ever owned! This is my second Hunter bag (two different sizes) and they are my favorite bags. They are strong, stylish, and honestly the most durable women's bags I have ever owned (I am 43). I have had one for 3 years which I use almost every day and it still looks brand new! I am in LOVE !